The program was started in 2003 by JJ O'Connor (pictured on the right, seated center), a former hockey player who sustained a catastrophic injury in a hockey game, to give these players a wonderful opportunity to enjoy the sport of hockey. 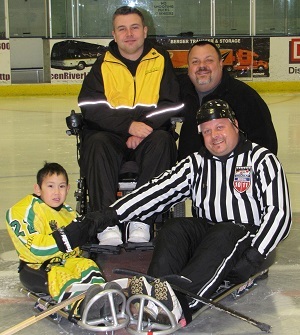 The Chicagoland Hornets are a Sled Hockey Organization consisting of players 5 and older whom have physical disabilities yet are determined to play ice hockey. As almost all individuals do, they want the opportunity to participate in sports and feel the camaraderie of being part of a team. In some cases it's not even to play hockey; for some, it is their only freedom outside a wheelchair or walker. The program is completely free to all of the participants. 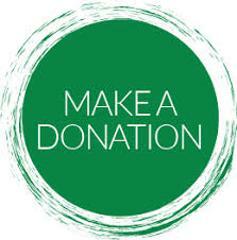 All funding is from gracious donations, and 100% of the money collected goes directly towards equipment and ice time. All Hornet Staff members are volunteers with extensive hockey backround. ©2019 Hornet Hockey / SportsEngine. All Rights Reserved.